ROCs are mobile home cooperatives that are owned by the residents, much like a multi-unit co-op in a large city. Mobile home parks usually suffer from a dowdy image of small communities occupied by buildings that are modest and nondescript—at best. 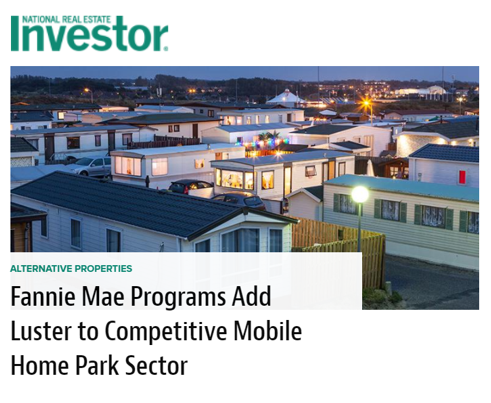 That image could be polished, slightly, as a few states are enabling buyers of mobile homes to qualify for Fannie Mae loans.